nope still need the address! Nah i wasn't interested, old news now anyway, all about the defender now! please take it otherwise ive got to bin it and they werent cheap! Anyway moving on, I am hoping to get some budget together and find a place to sort out the cyclones, I would love them done in that chrome finish I had when I bought the car. Have you put bullbars on the front of the defender? Could be a sound investment. Or failing that you could just borrow somebody else's sense of humour. My mum is now using this now until their defender is back in action again, just as well I kept the car rather than got shot of it last year. I did a few things with it last month, just changed the drop links, Where is the best place to buy some really good decent ones? the ones I took off where shot just after a year! I did sort out a knock, turns out the anti roll bar was a little slack on the driver side. Also we sorted out the injector hiss, replaced all four of the copper washers. I did have plans on the wheels and a service, but with my dad cocking up I have had to put my plans on hold. Poodle the bull bar was bought and put on the very week I bought the defender, it has had a few other things, but id have to sort out a thread of that, which I am not going to do. Personally if i can it try to fit TRW suspension bits as they seem decent and i haven't had any issue with it, maybe a bit more expensive but worth it in my opinion. I get most of my parts from either mista auto or GSF as they usually have 50% ish off most weeks and seem to decent brands. Hahah good man! As above with regards to TRW, they are OEM suppliers to a lot of marques and it shows in the quality. I will keep TRW in mind, I for the last two months I have only had my arse in this car for 2 days! I am starting to forget what its like to drive, been that used to the defender now. Still wanting to give her a service, and sort out those bloody wheels! I was hoping that I could have started to clean up the floors, but again with things been the way they are at the moment. I haven't even had the chance to do f*ck all with her. Well I managed to give her a full blown oil change, As the weather was the best it was last week. It really needed it mind, We are just off a 100k now on her clock. She is still pulling strong and all her electrics still work 100% I am hoping to try and throw some money at her this year, now that she can spend more time off the road. I did fit a new battery and a cut off battery like I had on the metro just to save the battery, due to the car now not been used that often. Not sure when or if there will be another update, just have to wait and see on that one. but its proof that its still alive with shite wheels on though sadly. 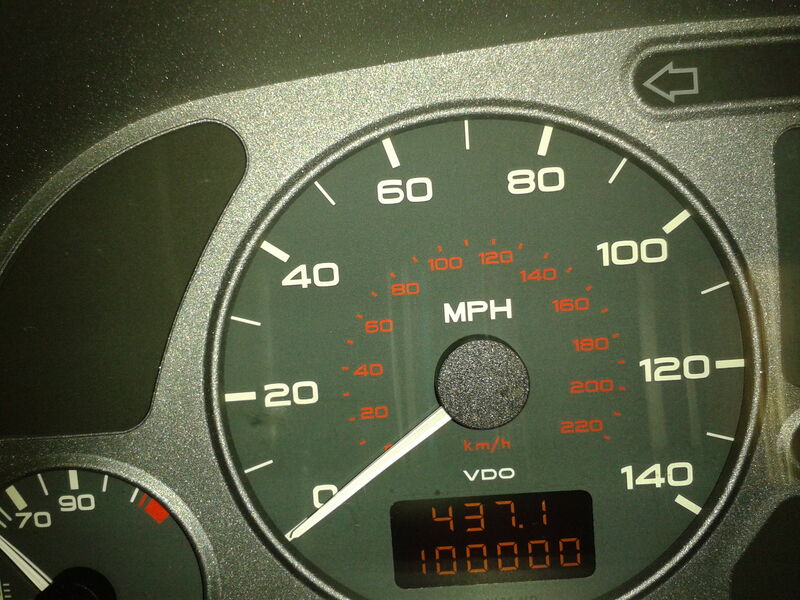 Well last weekend this hit a milestone, 100k! it was 58k when i bought it. The fuel pumps getting a little noisy for some reason, not sure on why. Seems to be pulling strong though still, and its been used mostly by my mum for work now, i think i have had my arse in the car only handful of times now for work. Everything still works and the interior hasn't reflected its done the mileage or even its age. So these are built to last I think. This one hasn't been remapped at all either, and when things do go wrong I do jump on it. Renewed the insurance this week, and its gone back up to nearly 400 quid! That's what I was paying nearly 8 years ago! I had to question that one like, they gave me some shite about things, been wound up across the board, but they decided to drop the defender a little more on renewal. I would expect the defender to go up more, but not the 306! well its been a while since I posted on here, I still have this and its going strong unlike this place by the looks of it now! Christ its really dried up now, what happened to the 306 love etc? The forum hasn't even changed at all! Anyway, I had to give her a brake over haul at the rear end, due to the rear flexi hoses been rotten, but I had to take it to a different MOT centre, which I will not be using again! The advisories he gave me on this was just a pure piss take! 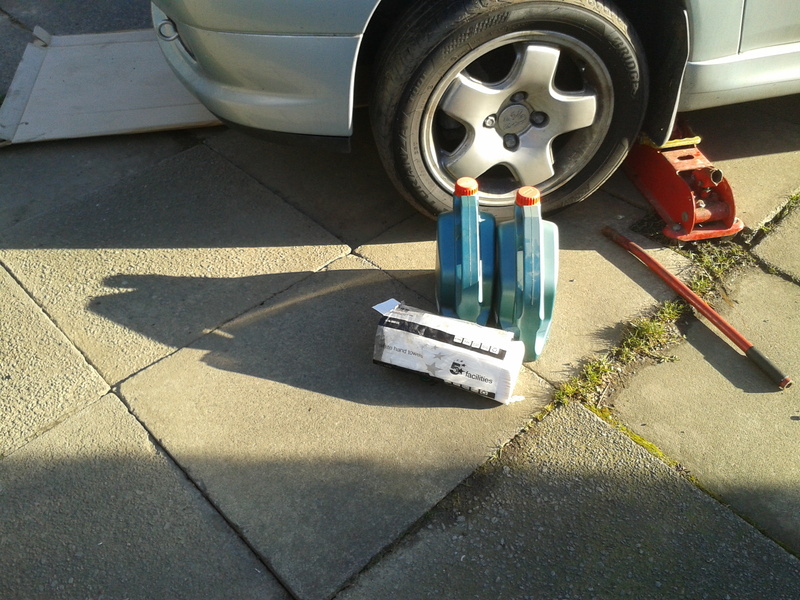 I changed the brake discs and pads, the discs had seen better days and with me finally getting the car back to do the work, I managed to jump on it, took a bit longer than expected sadly. Due what should have been five min jobs, turned out to be a few weekends. That's before I replaced the discs, but you get the idea, I have also got an quote to give the bodywork a tidy up too, So I am working towards this next year, and I am going to try and push to put the original wheels back on and bin these off. Also I do have the stuff to get under the car treated and painted too. I have something to put on the front, but it will have to wait till next year, a long with a couple of other things. like she was waiting for me on this special moment!! Oh boy, those rear disks looked really crusty! I guess she'd been stood for a while. Lovely new calipers though! Good to see you back on here btw. Yea, it's generally quiet but still get the odd flurry of activity now and again! (16-12-2018, 09:47 AM)Mighty306 Wrote: Oh boy, those rear disks looked really crusty! I guess she'd been stood for a while. Lovely new calipers though! 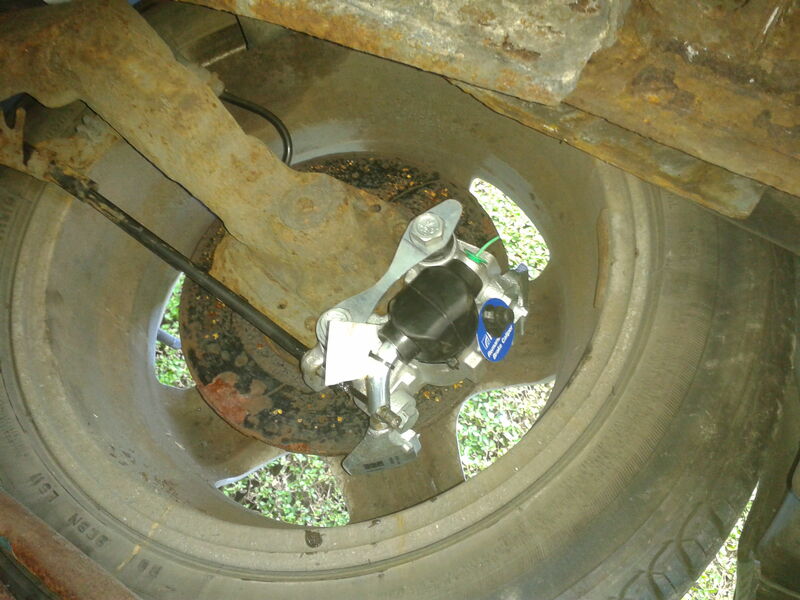 They have been on the car for a few years now, I normally change my brakes every two years. But with my dads defender been out of action, I couldn't do what I wanted to do to this last year. 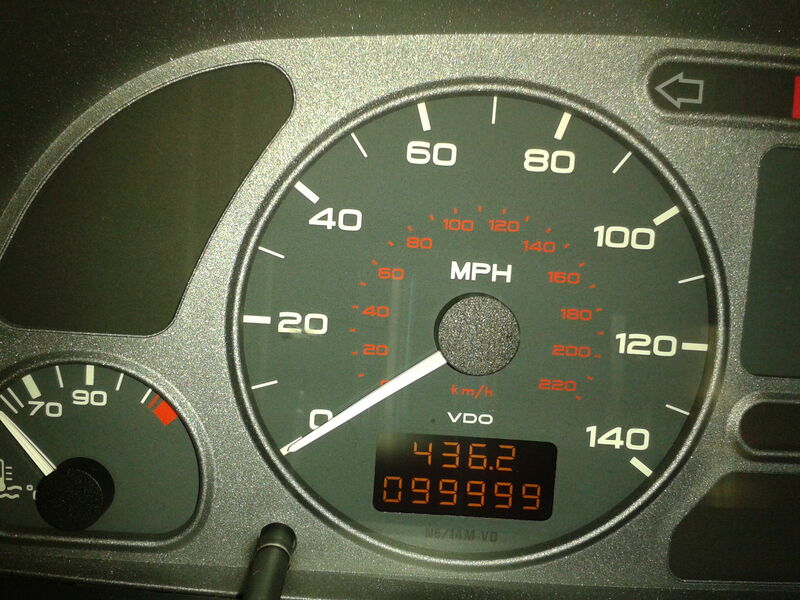 my mum was using this for the best part of last year, Also it doesn't really do the mileage as it did, with it been retired as a daily car. Its gone as a second car now. I only pop on now and again to see what is going on, but from the look of it, nothings even changed since I have been away. its gone very quiet like dot net did.